I can never get enough holographics. I mean, honestly, they're so gorgeous! 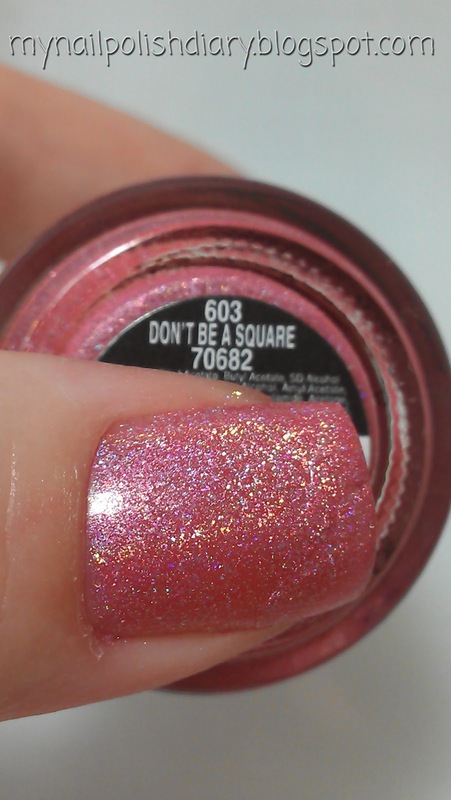 China Glaze Don't Be A Square from the Kaleidoscope collection released in Spring of 2009 is a light pink holographic beauty. 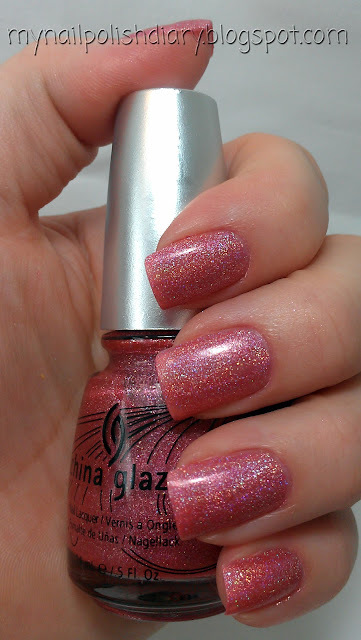 This is my favorite light pink holo. This collection is perfect. It applies beautifully and I think they're all opaque at 2 coats. DBAS is for sure. They dry super fast. They're the perfect polish for a quickie mani. My wear time is just fine, though I've heard some say they chip quickly on them. I do use my treatment and orly bonder with these, so that may give me better wear time. I don't use top coat though, because these dull with it. I have the OPI DS top coat and I think I'll try it with the next Kaleidoscope mani. I'll let you know how it goes. Very pretty! I only have one of the kaleidoscopes (I prefer linear holos) but it's gorgeous! Oh Karine, get that to the top of the list and try it. You're gonna love it! 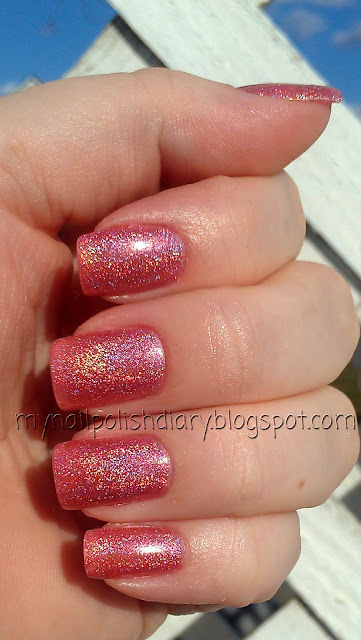 Carly, I love the scattered holos. I bet you have all the OMG collection? I only have 8 of that set. Still looking for the rest though lol. I also don't use a topper on these and others like these. I have the Nfu-Oh Aqua base that I use on some holos. Surprised that you use Orly Bonder - I love it and use it for other things - but the cushion on it makes many of my polishes lift and pop off like press on nails! I never have tried it with these guys. I have used my tried and true Orly Nail Armor base that is a enrichment/treatment base with ridge filler in it - most of the time I don't have any ridges - but I still really like that base probably the best of all the ones I have.